Work > "Ombre Inlay" form All that Glitters, is a site specific installation for, "Aesthetic Theory, Girls Club, Ft. Lauderdale. May 2015. 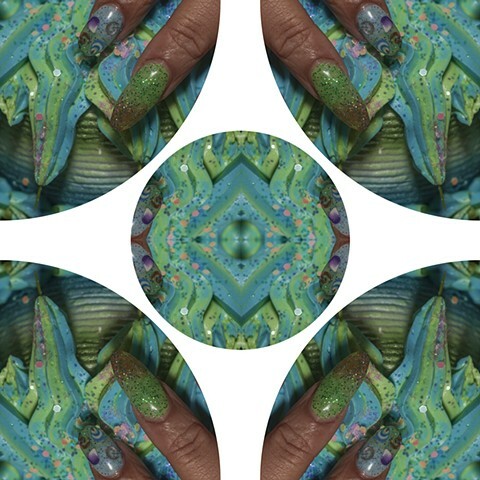 Photography based wallpaper made from staged images of Tyffanni Bickhem hands and nail art.